Here's a rundown of the device makers that are known or rumored to be providing networking gear to pipe 5G to your office. Inseego’s MiFi 5G NR mobile hotspot device supports the new Wi-Fi 6 protocol, 802.11 ax. Inseego's other model, the MiFi 5G NR, was revealed in December; its shipping date has yet to be determined. The MiFi 5G NR runs Qualcomm's new Snapdragon 855 processor and Snapdragon X50 5G modem chipsets, and it supports the new Wi-Fi 6 protocol (AKA 802.11 ax). It has a display to show connection status and data usage. Netgear claims its Nighthawk 5G Mobile Hotspot is the first 5G standards-compliant networking device. 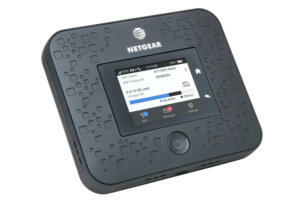 Due for release in the U.S. sometime this Spring, the Nighthawk will be for exclusive use on AT&T's 5G network, which was turned on in 12 U.S. cities in December. The list price for the Nighthawk is $500. It runs Qualcomm's Snapdragon X50 5G modem chipset, and it includes a display to show stats. The display will show information such as how much data from your allotted plan with AT&T has been used, days remaining before your plan resets, devices connected to it, and signal strength. That's the extent of the device features that have been revealed as of this writing. It's possible the Nighthawk 5G will include features similar to Netgear’s Nighthawk LTE Mobile Hotspot Router, which is also for AT&T networks. The LTE version supports the ability to have up to 20 devices connected to the hotspot through Wi-Fi. It also offers parental controls that could be useful in an office setting, such as the ability to block types of content and websites. This is one company to watch, even though it hasn't announced any consumer-end 5G devices. Over the last several years, Nokia has been at the forefront of developing and testing 5G hardware for carrier networks that include 5G base stations in partnership with Qualcomm. T-Mobile has bought $3.5 billion worth of Nokia 5G hardware to build its 5G network. Nokia formed an Access Networks Division to expand its business further into the global 5G market. Internally, the company merged its separate mobile and network business divisions to create this single entity at the start of 2019. It's possible that from this division, Nokia will develop and release a 5G router or other device for customers of U.S. 5G carriers. Samsung worked with Verizon throughout 2018 to develop a 5G network setup for business and home use. Last February, the company announced that its 5G FWA (fixed wireless access) unit was the first to gain approval by the FCC. This device is an antenna base enclosed inside a white, rectangular box with rounded corners and edges. It's meant to be installed outdoors on your premises or close by to receive a 5G signal from Verizon's towers. This unit then re-transmits the signal to a 5G router, which your computer or other device connects to through Wi-Fi or Ethernet. Samsung’s lineup of 5G commercial routers includes indoor and outdoor devices. 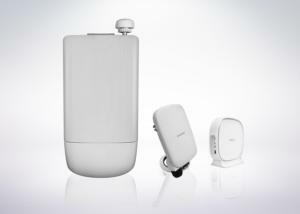 Samsung developed separate indoor- and outdoor-use 5G routers. 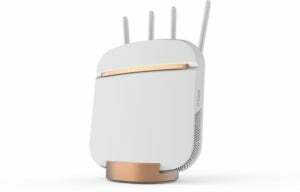 The indoor model looks like a typical, square-shaped router propped up vertically, which Samsung specifies should be positioned by a window to better receive the 5G signal being transmitted by the 5G FWA. The outdoor version resembles a speaker. 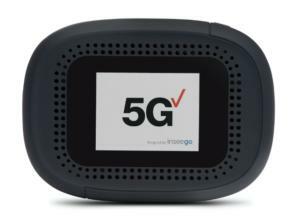 These devices were provided to customers of Verizon’s 5G Home service. The carrier’s 5G network launched in October in Houston, Indianapolis, Los Angeles and Sacramento.